To say that the Devialet Phantom is a little out of the ordinary would be an understatement. Phantom is a sound center, meaning, a system that receives via Wi-Fi music from your everyday devices such as your smartphone, tablet or computer. It processes the signals and emits sound replacing your speakers. Phantom integrates revolutionary technologies to process and emit an ultra-dense sound with physical impact that is many multiples beyond it’s compact dimensions. It is a uniquely powerful, incredibly distinct sound with no distortion – no matter what volume. In fact Phantom can easily replace your stereo system, docks, home-cinema and even your speakers. It is designed to be a 100% wireless product. It connects via Wi-Fi to all your devices (smartphone, tablets, computers, TV…) For convinence Phantom also includes Optical input and Ethernet input. Phantom is also a new multi-zone sound solution with the ability to be used on its own or connected to other Phantoms, creating a next generation multi-room system in the house. Why is Phantom revolutionary and superior? Phantom is unique. 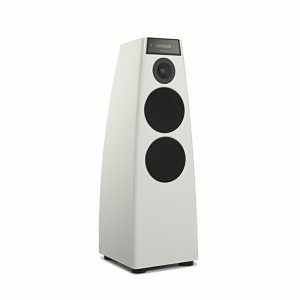 It emits sound through a new revolutionary process, in accordance with the absolute rules of acoustic perfection. Thanks to the technologies invented by Devialet and exclusive to its products…you will not believe your ears. the ADH Intelligence exclusive to Devialet is a super powerful micro-processor that hybridizes digital and analog technology.It purifies and magnifies the sound signal. It rules with absolute precision the mechanical functions of Phantom. architecture to ensure an omnidirectional emission and a uniform sound, no matter the angle you are listening from. will upgrade constantly, enhance its internal connections, connect to other Phantoms, react to your presence and improve continually. Because Devialet is strongly opposed to the obsolescence of systems. So what is this Cybernetics thing anyway? · Total efficiency of interaction between electronic and mechanic. A different sound, the best sound in the world. For the first time, Phantom emits ultra-dense sounds with physical impact. A powerful, distinct and clear sound, even at very high volume levels, Phantom’s sound suffers no distortion. And during silent moments in your music, Phantom produces absolutely no air blast. To reach this unique performance, we had to invent a fully cybernetic system integrating three major engineering inventions. One Phantom, or several Phantoms. The choice is yours. In one space or in a multi-room in your house. One Phantom is amazing. Many Phantoms is pure magnificence and it is easy to create a multi-Phantom network. One Phantom: plug, download the Spark application and send it music from your everyday devices. You are going to be instantly blown away. Many Phantoms in one space: plug the Phantoms, plug Dialog, download the Spark application. Your Phantoms will recognize each other, synchronize and multiply spatially the acoustic experience, for the most intense moment you ever experienced. Dialog is Devialet’s experience center for acoustic pleasure : it radically enhances the Phantom experience. With Dialog, access the best online music services to enjoy a broader music library. Bring the ultra-dense sound experience to every room in your house, abolishing distances and walls. Dialog allows you to connect several Phantom to create all systems : Duo, Cinema, Multi-room… up to 24 Phantoms! With SPARK, all users connected to the same Wi-Fi network can interact with each other and create a collaborative playlist in real time . You have access to your friends’ music and they have access to yours. All you need to do is get together! 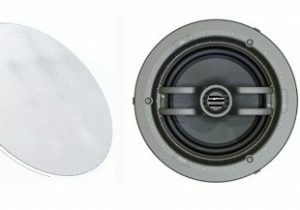 Finishes – White only with polished stainless steel detailing and white dome drivers.